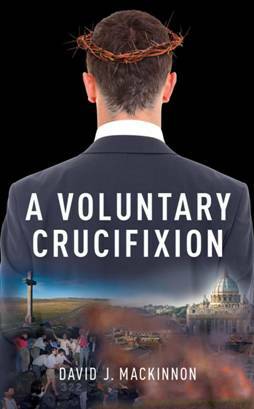 A Voluntary Crucifixion is a literary fiction. Any resemblance in this volume to living cucks, barking moonbats, blue-pillers, or to similar conveyors of swivel-eyed ideas, alive or dead, is purely coincidental. WARNING: Voluntary Crucifixion is not a substitute for prescription medication. The reader should regularly consult a physician in matters relating to his/her health and particularly with respect to any symptoms that may require diagnosis or medical attention. Crucifixion, particularly of the voluntary sort, is hazardous and should not be undertaken by anyone without the required certifications and expertise in such matters. This book should not be interpreted as a users manual, bible or other form of predicating evangelism, but solely as a literary glance into the rear-view mirror, in contemplation of a yet-to-be scheduled appointment of the author with the pale priest of the mute people. Misereatur tui omnipotens Deus et dimissis peccatis tuis perduca te ad vitam aeternam. More information, or to order A Voluntary Crucifixion, at Guernica Editions.